But, my brain is officially in fall mode once Labor Day waves by, and so I decided that it was time for a fall mug + love exchange. It's like a Christmas in the fall. We exchange names and then mail each other cute mugs, our favorite drink to have in our mug, and a little note of encouragement. 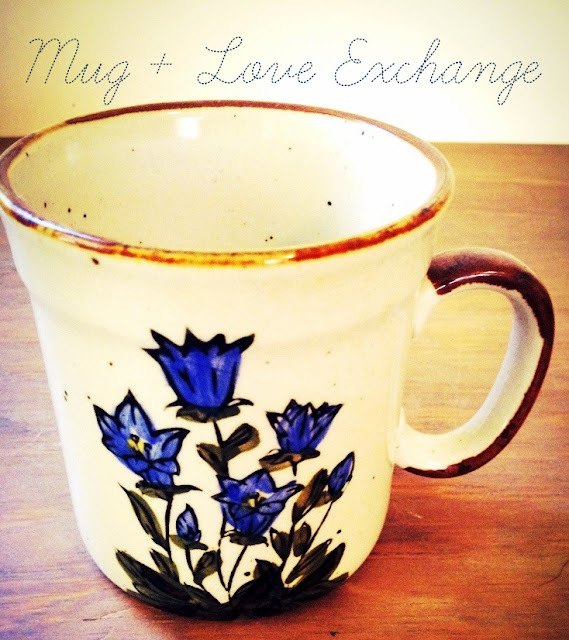 This is my first ever mug + love exchange, but I'm pumped to see where it leads! pss. If you are having trouble with the link, send me an e-mail, and I'll send it to you via e-mail!